Personalized Stationery Set. Buffalo Check Stationery. Personalized Note Cards. Personalized Thank You Cards. Pretty Thank You Cards. 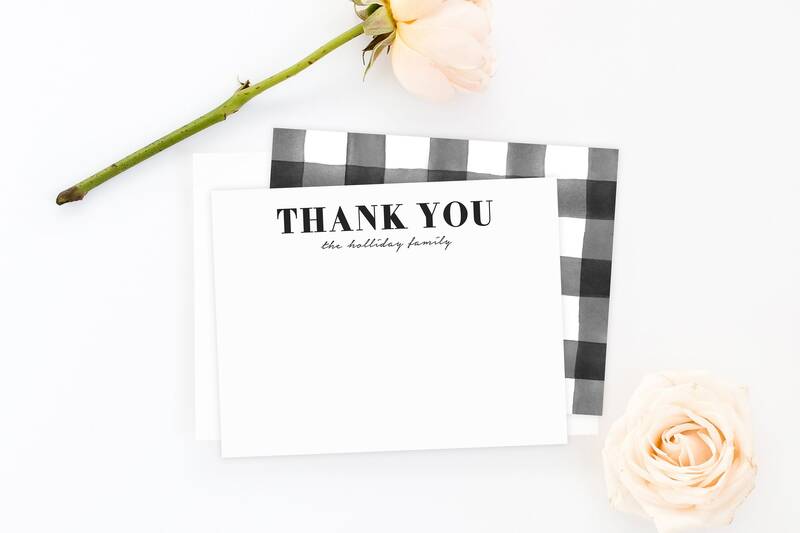 A personalized set of thank you cards in black and white with a buffalo check pattern on the back. Chic and timeless and very unique!